School Playground Equipment, Commercial Playground Equipment huge range of commercial swings, slides and playgrounds. View our range of commercial outdoor playground equipment. Special Needs Play Equipment strive to offer a great range of accessible commercial playground equipment for special needs children and adults. Our commercial playground range not only includes play equipment for children to play on, we offer a range of adult play equipment which includes commercial grade swing frames and adult swing seats specially designed for adults to also enjoy the fun and exhilaration of swinging and playing. Special Needs Play Equipment specializes in All Abilities commercial outdoor play equipment, we have sourced the very best commercial playground equipment from around the world. Please view our huge range of Inclusive playgrounds. Commercial outdoor playground equipment. Commercial Climbing FrameLooking for a commercial grade Certified 'Climbing Frame' for your school ?.. Commercial Grade Crawl Tunnel with SlideNeed a crawl tunnel? Need a slide? What about having both!?T.. Commercial Grade Play Equipment ClimberHow AWESOME is this Elephant Climber? If i saw this elephant,..
Sensory Mirror Panels Commercial Play Equipment ..
Sensory Abacus Panels Commercial Play Equipment DIMENSIONS (cm.) 129 x 15 x 110 MINIMU..
Sensory Panels Commercial Play Equipment MINIMUM / MAXIMUM SAFETY AREA min. 13,50 sqm. - max ..
Sensory Panels Commercial Play Equipment Chimes MINIMUM / MAXIMUM SAFETY AREA min. 13,50 sqm. ..
Sensory Panels Commercial Play Equipment MINIMUM / MAXIMUM SAFETY AREA min. 13,50 sqm. - ..
Sensory Panel Maze Commercial Play Equipment ..
Sensory Mirror Panels Commercial Play Equipment DIMENSIONS (cm.) 129 x 15 x 110 MINIM..
Spring Rocker Shark TwinsWant a spring rocker just like the parks? These fantastic rockers are a tra..
Disabled Swing seat All Abilities - Australian MadeYou are purchasing the seat, frame and seat belt ..
Spring Rocker Tow TruckWant a spring rocker just like the parks? 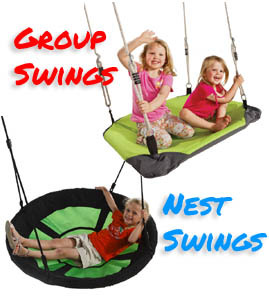 These fantastic rockers are a tradi..
Pyramid Net Climber- KBT - Commercial Grade Climb on this awesome pyramid net climber standing at 2..
Spring Rocker DuckWant a spring rocker just like the parks? These fantastic rockers are a traditiona..
Spring Rocker DragonWant a spring rocker just like the parks? These fantastic rockers are a tradit..
Spring Rocker CowWant a spring rocker just like the parks? These fantastic rockers are a traditional..
Firry Net Climber Commercial Grade KBT - Commercial Grade Children will love to climb on this aweso..
Sensory Panel Tic Tac Toe Timber FrameNaughts and crosses, is a game for all ages. This kids' game..